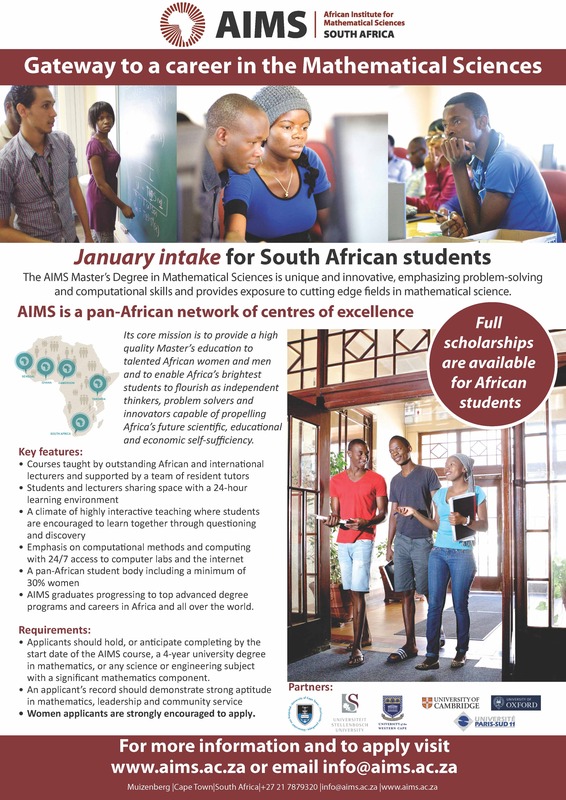 The African Institute for Mathematical Sciences (AIMS) is an innovative, pan-African centre of excellence for post-graduate education, research and outreach which has achieved global recognition since opening its first centre in South Africa in 2003. AIMS centres offer a number of educational programs including a one-year taught Master’s program and postgraduate research. Each AIMS centre provides an intensive and broad education to over 50 African students each year and prepares them for leadership careers in academia, governance and industry. The AIMS educational program relies on top international lectures who teach in a live-in learning environment. I write this before Mathemafrica publicly launches. I want to give a little background about myself, what I am doing now, and what I see as the potential for Mathemafrica.